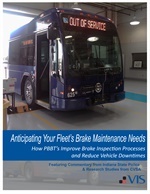 Keolis Commuter Services (KCS), the MBTA’s partner that operates the commuter rail, recognized two students from the Fitzgerald Institute in Northborough for their proactive interest and dedication to improving their community. 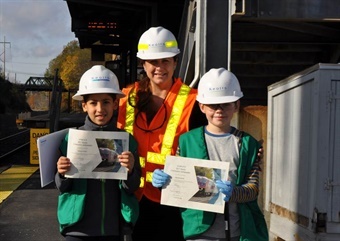 Students Ian Brackett and Younes Fedal, both 10, helped beautify train stations near their homes by joining a group of Keolis volunteers last Friday. Alongside Keolis employees, Brackett and Fedal began their day with a safety briefing and instructions on how to properly wear protective equipment to be near the railroad. This includes a reflective vest, eye wear, gloves and a helmet. 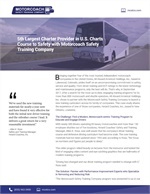 This safety briefing also included Operation Lifesaver training, which helps to raise awareness around the dangers of trespassing on tracks and focuses specifically on school-age children. Following the safety briefing, the two students and a group of Keolis volunteers helped to collect litter and cleanup areas in need of care and maintenance at the station and along the tracks in Westborough. Railroad tracks are often susceptible to illegal dumping, littering and buildup of other debris, which are not only unsightly but can also be a safety hazard to trains and children. Friday, the team collected four large bags of litter, which adds to approximately two tons of trash collected by Keolis volunteers this year from areas beyond contracted responsibilities. After the event Ian and Younes were presented with the first-ever Keolis We Care Community Ambassador certificates of recognition. Their example will be used to encourage others to join the efforts of Keolis and other sustainable, locally-focused organizations that are dedicated to improving communities throughout the greater Boston area. Previously, the Keolis We Care program focused on the positive volunteer impact of the company’s employees. 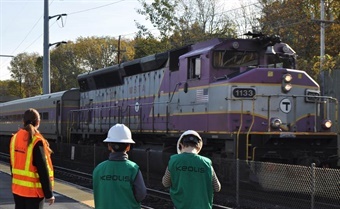 With its North American headquarters in Boston, Keolis employs approximately 2,500 people in the region, and is committed to positively impacting the communities in which its team members live.